Improving energy efficiency in homes is becoming more and more important as oil prices and gas prices continue to rise. We all are becoming more concerned about energy these days. How much it costs us? Were it is coming from? What it is doing to the environment? How can we control our cost of using energy? 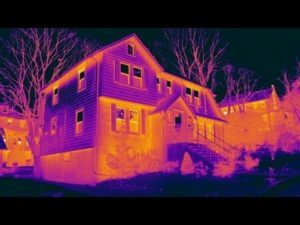 Ultimately the only things within our control is how much we use and what steps can we take to improving energy efficiency in our homes leading to a decrease in the overall cost of the energy we use. If we can purchase our energy at the cheapest price we can find and then minimize the amount of energy that we use, then we are saving as much as humanly possible. The trade off of course is what does it cost us to save a dollar of energy. If we have an old fridge and have to spend a $1000 to get an energy efficient fridge, is it worth the investment? We do not think so unless you plan to replace the fridge for other reasons. then you should buy the most energy efficient fridge you can find. So what are the steps we can take towards improving energy efficiency in homes. We have compiled a general list that many consumers can consider and use depending on their personal situation and their current energy foot print as it relates to our homes. There are many locations around your home were cold air can leak into your home in the winter time and hot air in the summer. Check for leaks around your windows and doors were there is a bad seal, a bad fit or missing weather stripping. Seal up all of these locations so that air cannot escape. You can even arrange to do a compression test to determine how much air you are losing and were the leaks are. Whenever utilities must enter your home, they always drill holes through the foundation or the upper walls. These holes are sources for insects to come through along with air that can leak in either direction. In most cases they are already plugged, however it is a good idea to check all of them to make sure that no air can escape in either direction. Check water lines, electrical lines, cable TV lines, Telephone lines, gas lines, central vac systems that exhaust to the outside, air conditioning systems and any others that may exit or enter your home. Check around your homes exterior and caulk any locations that you feel might be a source for air to penetrate. Check around windows, doors, exhaust vents and any utilities as previously discussed. Seal all of them to ensure your home is air tight. This is a big one and can save you a lot of money by reducing your homes energy consumption. You can save 20 or 30% by setting your thermostat cooler in the winter at night and when you are not home. No need to heat your home at normal temperatures when you are not in the home. Same things goes for the summer time, when you can turn up the thermostat to reduce cooling costs when you are not there. The sun can add a lot of heat to your home in the summer simply by shining in through your windows. Close the blinds on windows facing the sun to reduce the cost of cooling in the summer time. Keep them open during the winter to take advantage of the suns heat in the winter time. It is surprising how many people do not turn off lights in rooms they are not in. Same thing with appliances. By turning them off you can contributed to improving the energy efficiency of your home. Not only do you save the energy the appliance uses when not turned on, you reduce the cooling cost as well. All devices generate some level of heat when they are on and you have to add this to your cooling load in the summer time. Everything from removing incandescent lights, to using low flow faucets, to dual flush toilets can be implemented in your home to improve the overall energy efficiency of you home. All of these devices will cost some money, however the payback is getting more reasonable all of the time as the cost of energy increases. Although you are probably not going to shell out a thousand dollars to upgrade a major appliance just because it is energy efficient, there comes a time when it is necessary so you may as well get the most efficient one you can when it is time. While we cannot cover everything in one post, we encourage everyone to look at everything they do with energy efficiency in mind. Take every opportunity you can to reduce your energy footprint. Ultimately it will save you money in the long run as prices go up and up. Furnaces, water heaters, air conditioners, and major appliances fall into the category of major energy users with a long payback if you are only looking at energy savings. Many of these items need to be replaced simply because they get old and cannot be repaired. Always go for the energy efficient appliances when it comes time and look for discounts and coupons offered by companies and governments for energy efficient devices. the cost of energy is really going to go up as soon as the economy starts firing on all cylinders, Just look at California with $5 / gallon plus rates. Oil is going up, natural gas is going up and so is electricity. Start reducing energy now to save some money.